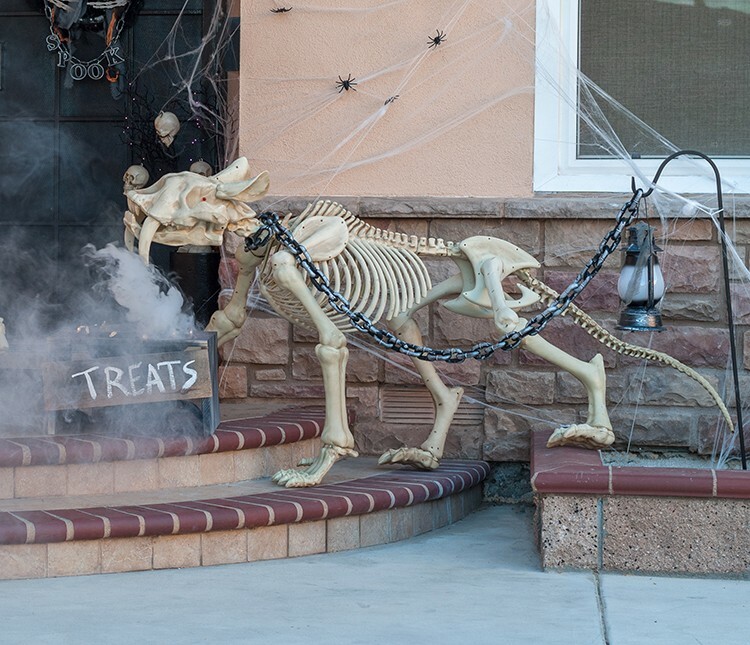 Decorating a small front porch for Halloween doesn’t have to be difficult. Follow along to see how Anika of Anika’s DIY Life made the most of her small front porch with a few clever DIY projects for this year’s Halloween and Harvest Style Challenge! We are a huge fans of the Halloween section at The Home Depot. 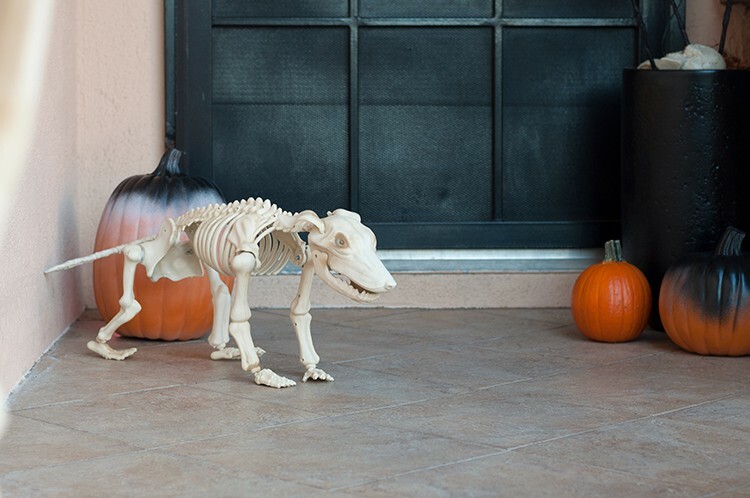 Every time I visit The Home Depot around Halloween time, the kids beg to go just so they can hang out with all of the animal skeletons. 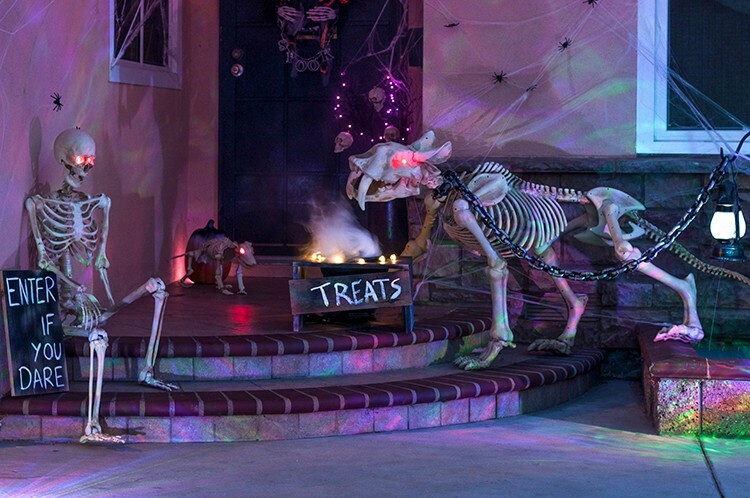 So, when The Home Depot asked me to set up a space for Halloween, it just had to be about animals! The Home Depot sent me the 82 inch Sabre Tooth Cat, which made an instant impression on the kids. They named him Skeleto and he has since become the pet we never had. 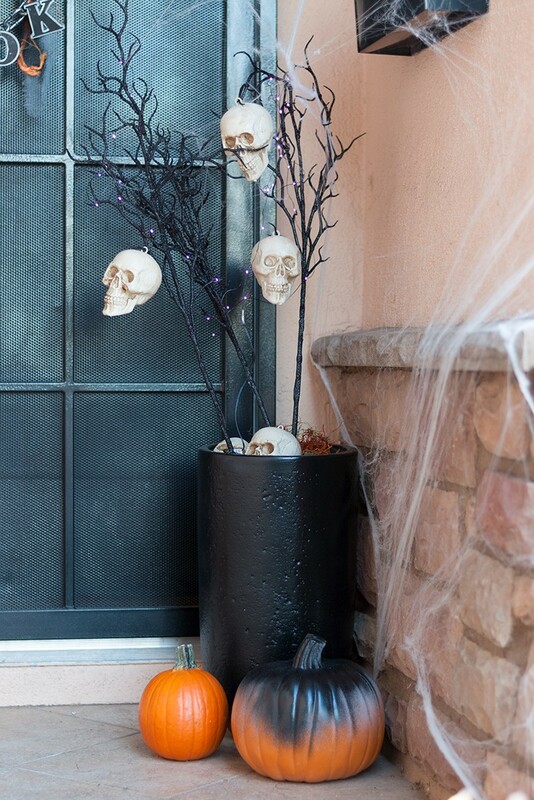 We have a pretty small porch which can get challenging to decorate, but with a few small projects and all of the fun Halloween decor choices from The Home Depot, I was able to create the perfect scene! I started out by covering the entire scene with spiderwebs because what is Halloween decor without spiderwebs? Then I set up Skeleto, the Sabre Tooth Cat, as though he was jumping out of the planters onto the porch. I cut off the skulls from a blow molded chain and used it to tie Skeleto to a 48” Shepherd hook with a hanging graveyard lantern. 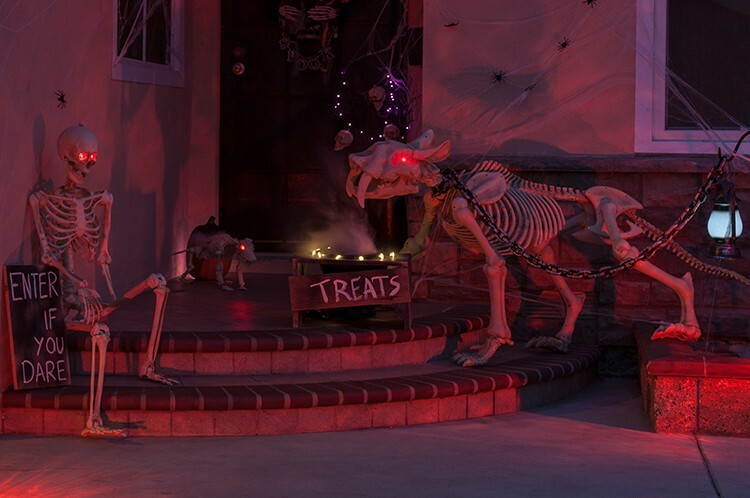 Just like other trick or treaters, Skeleto is there for the treats! 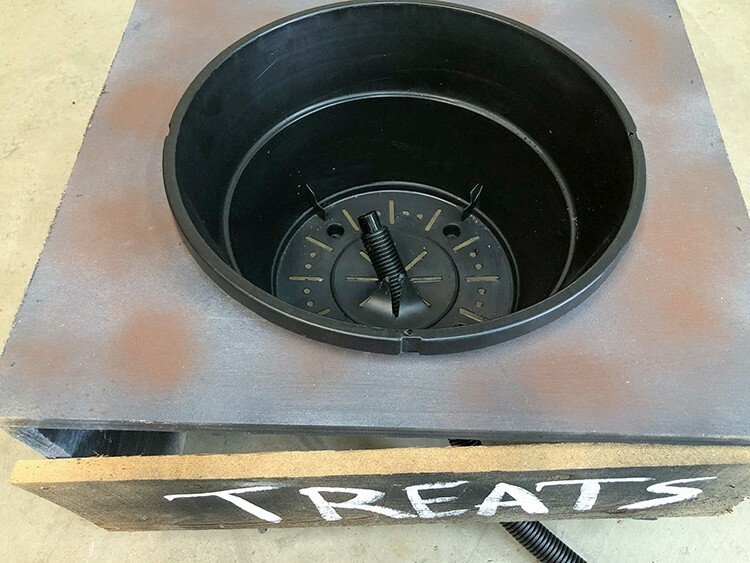 So, I had to build a dog bowl treat holder for Skeleto. I started with a 3/4” thick plywood cut to 20” x 18” and cut out a 12” circle in the middle using a jigsaw. For the legs, I attached 1” x 12” boards cut at 20” on each side of the plywood using wood glue and finish nails. For the bowl, I used a 12” hanging basket. I filled the basket with candy, stuck a few skeleton hands from the bag of bones in it, and added battery operated LED skull lights around the bowl. 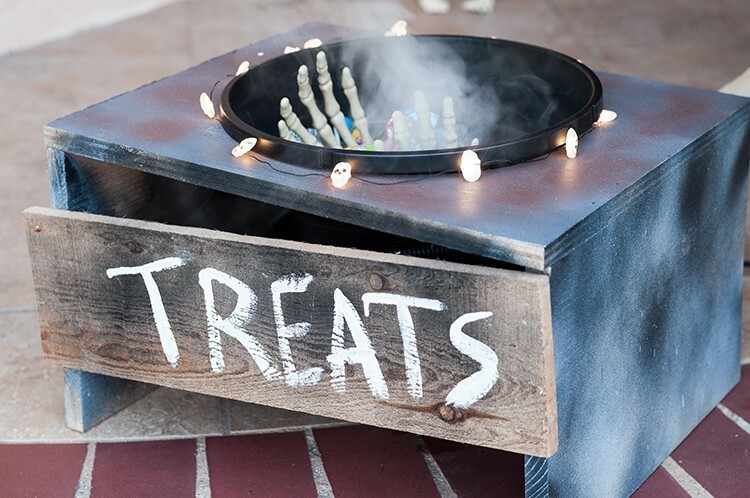 It created a perfectly creepy treat bowl! 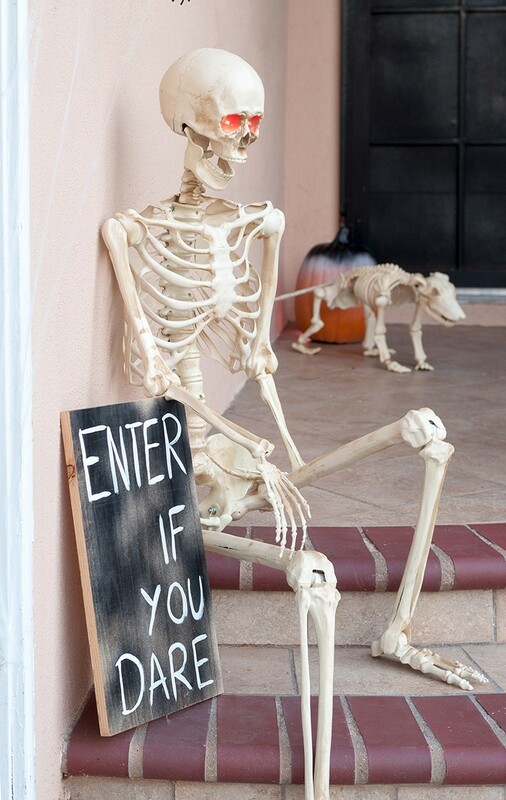 A 5ft Posable Skeleton sits on the opposite side warning everyone with a sign. 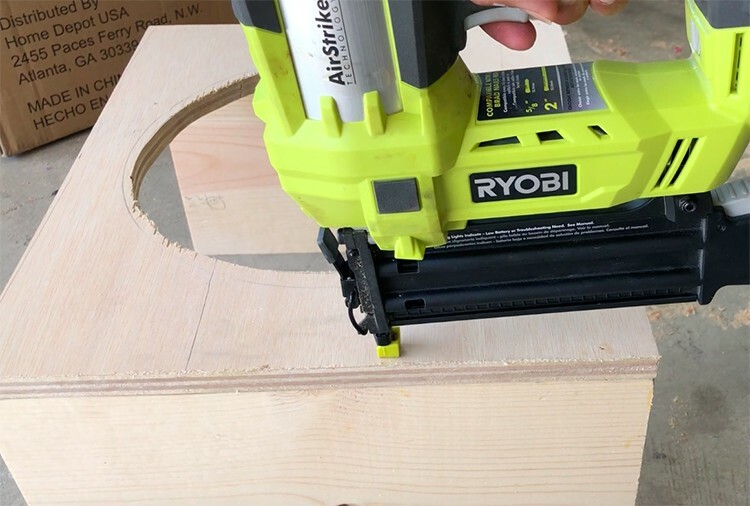 It was a simple project using leftover 3/4” plywood from the dog bowl holder. I misted it with black spray paint to make it look old and painted “Enter if you dare” with white paint. 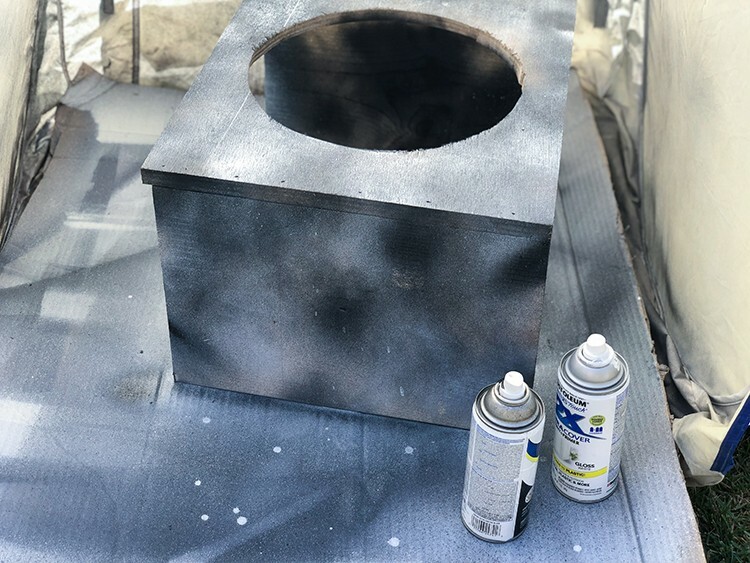 I used 13” and 9” craft pumpkins and gave them a rotting effect with mists of white spray paint followed by black spray paint. 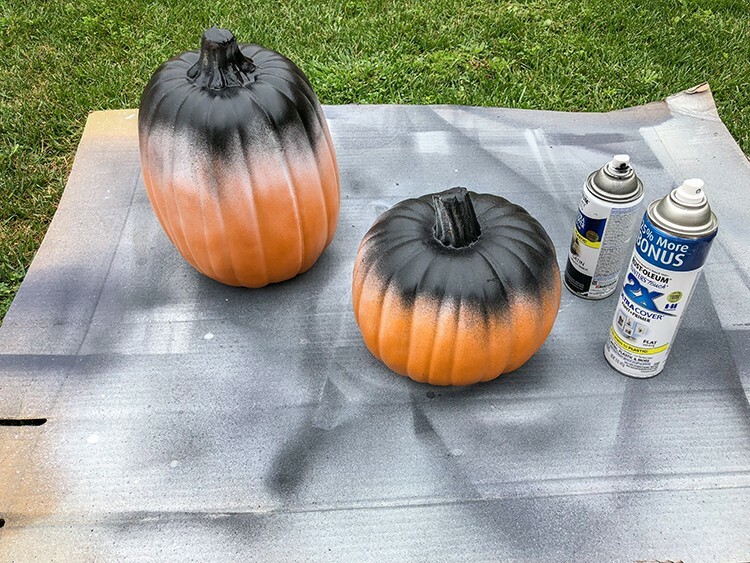 The key here is to hold the spray paint cans directly on top of the pumpkin. 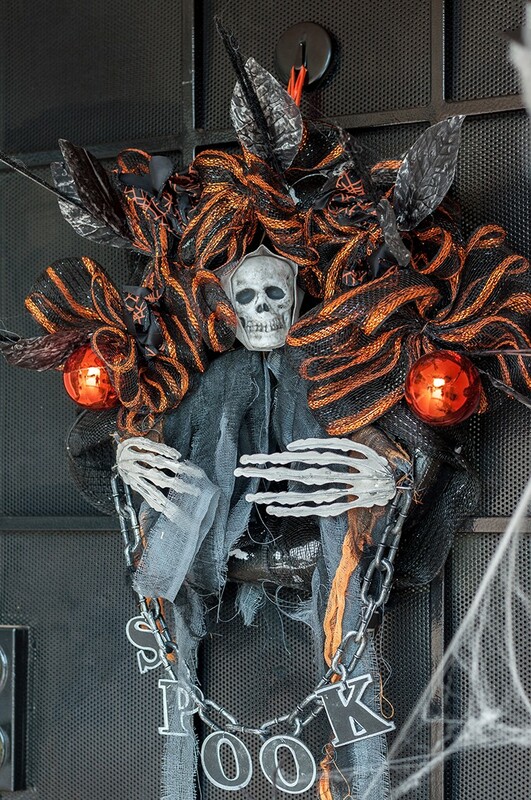 The most important part of Halloween Decorations – the lighting – brings it all to life at night! I added purple LED string lights in the eaves of the porch, a couple of battery operated orange LED lights behind the rotting pumpkins and 2 ghost flame lights on both sides of the scene. We can’t wait for it to be trick or treating time! Hope you have a fun Halloween! 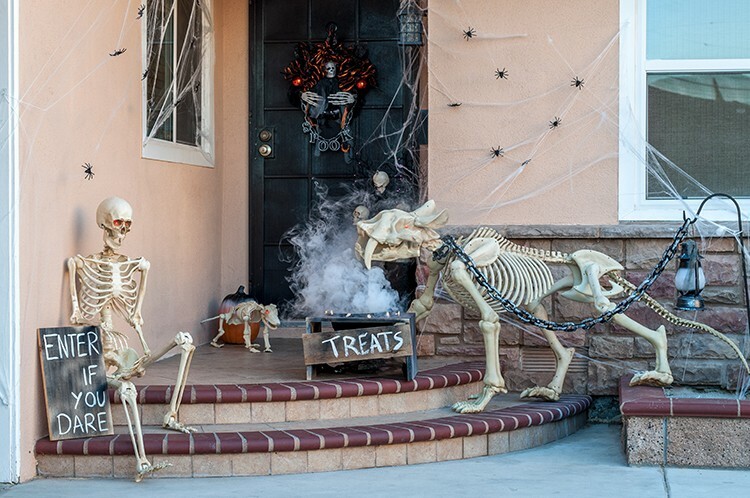 The post How to Decorate a Small Front Porch for Halloween appeared first on The Home Depot Blog.